Every family has treasured objects, things that have been passed down from older family members to younger family members to cherish and remember them by. Regardless of their value to the outside world, within the family, these items are precious and irreplaceable. 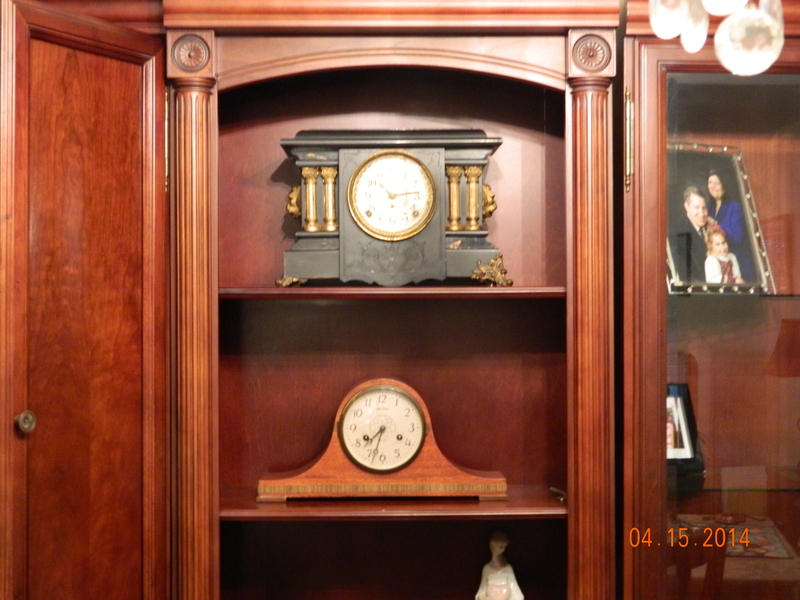 In my family, two of our special items are clocks – but not just any kind of clock. 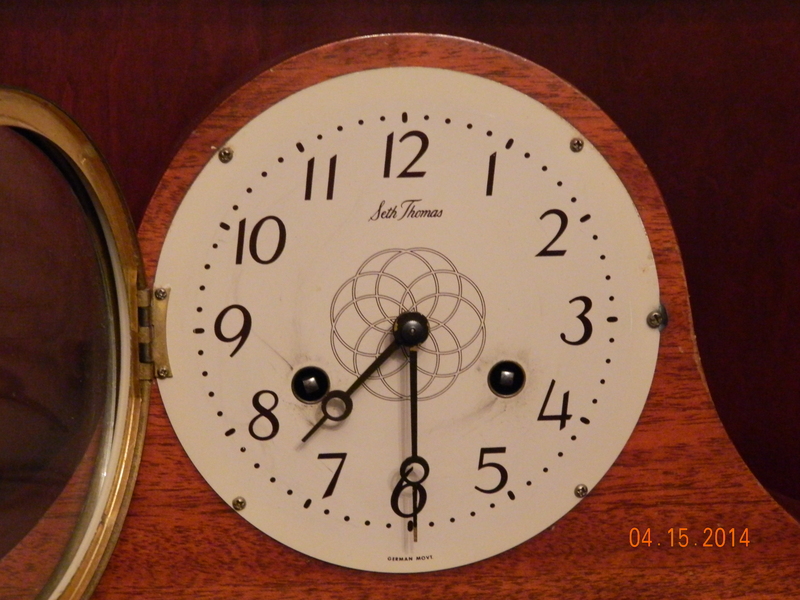 We have the privilege of owning two Seth Thomas mantel clocks, each one inherited from our grandparents. 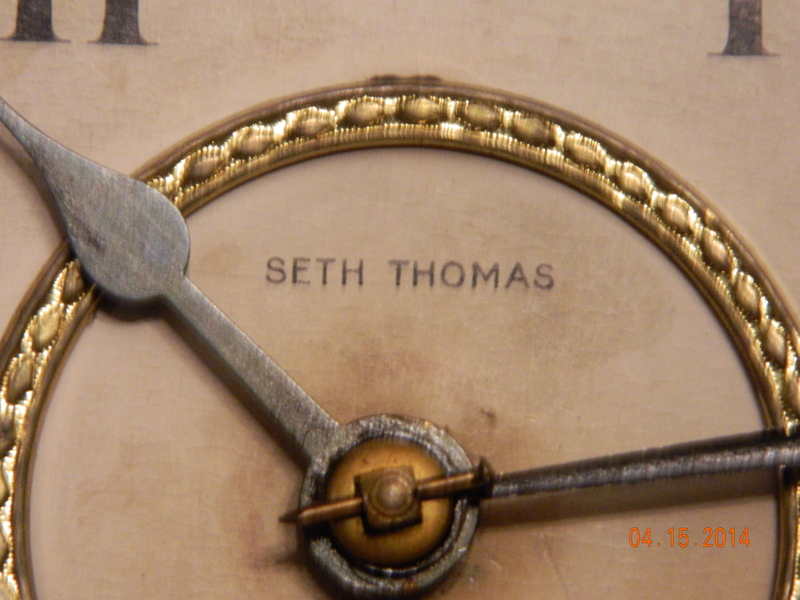 For many years, Seth Thomas was one of the premier clock makers in the United States. Known for their above average quality, bronze clock works and elegant styling, Seth Thomas clocks were very popular. 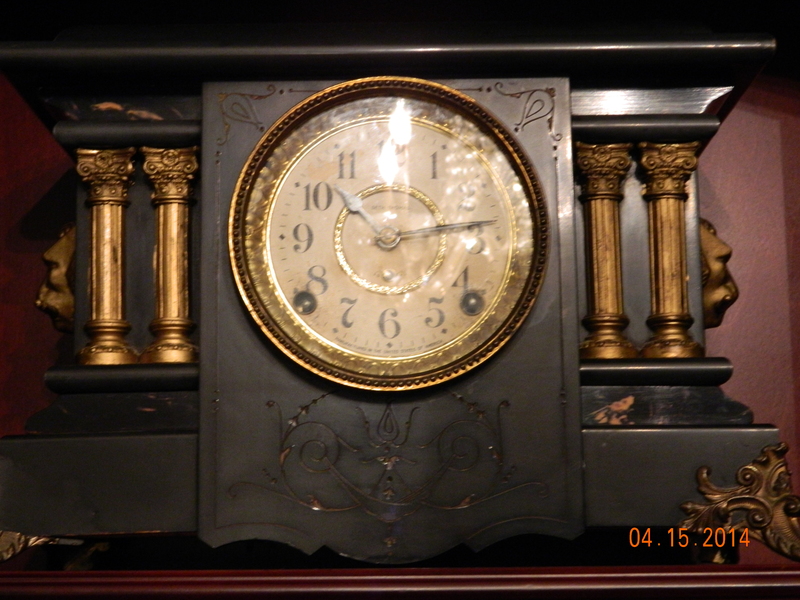 While their flagship product was no doubt their grandfather clocks, their mantel clocks were very popular too. “My” clock came from my grandfather. 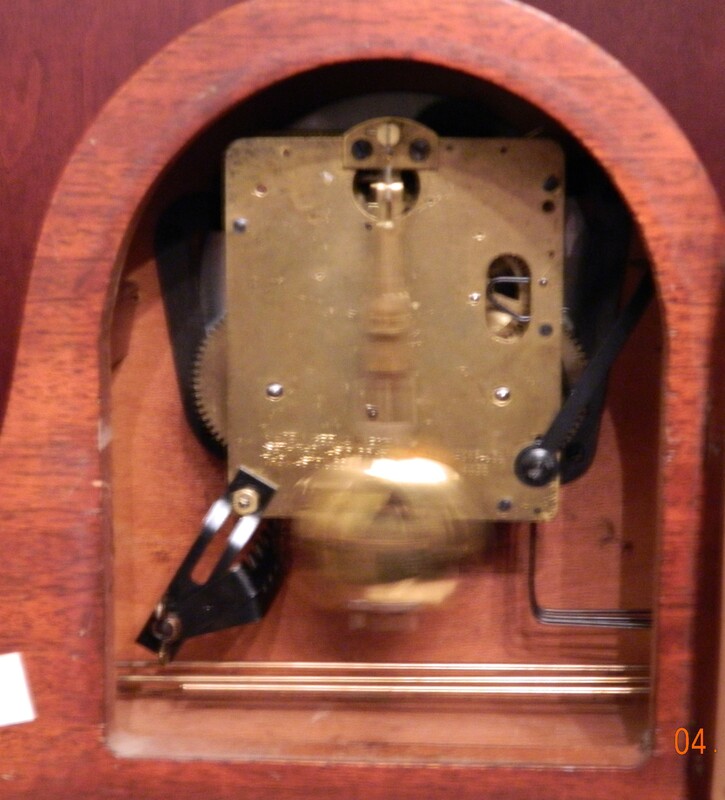 One of Grandpa’s hobbies was repairing old clocks, and this is just one of many he repaired. According to what I have read, this clock is an “adamantine” mantel clock. The “adamantine” term refers to its black finish. 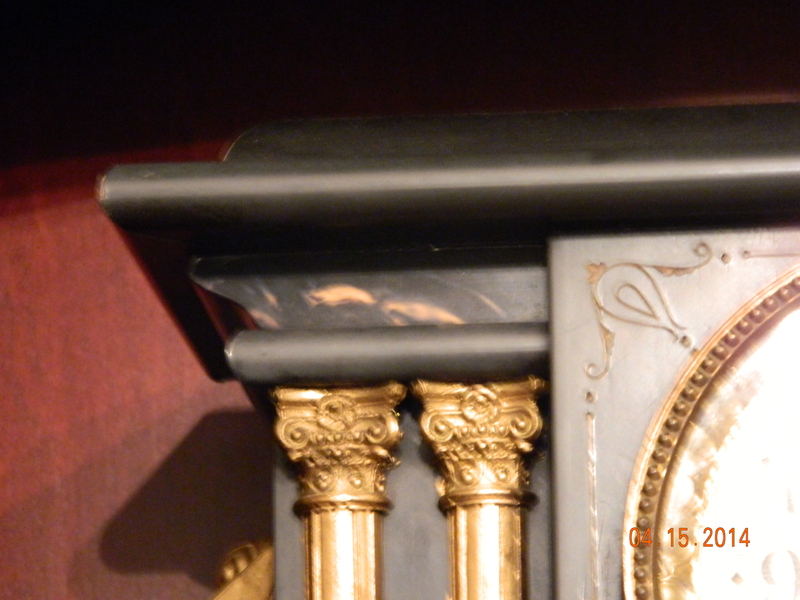 With its gold pillars, lion faced handles on the end, and black marbled paint finish, it is quite elegant. “Mark’s” clock also came from his grandparents. Its elegance flows from simplicity of design rather than the ornate finish of the adamantine clock. From the simple curved design to the single narrow contrasting strip of wood immediately above the base to the clear numbers on the clock face, everything on this mantel clock stands for clean lines, the elegance of minimal styling and function. 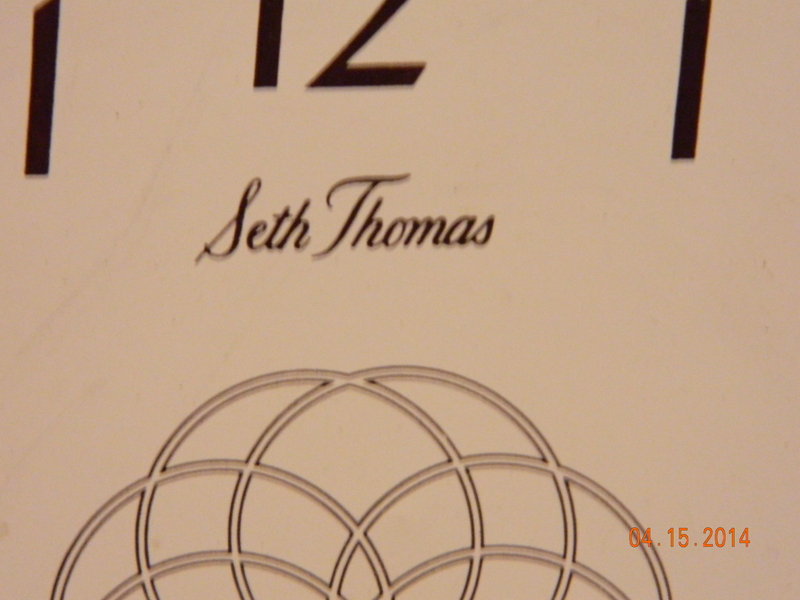 Both clocks have the “Seth Thomas” name printed on their clock face. The two faces of each clock differ also. 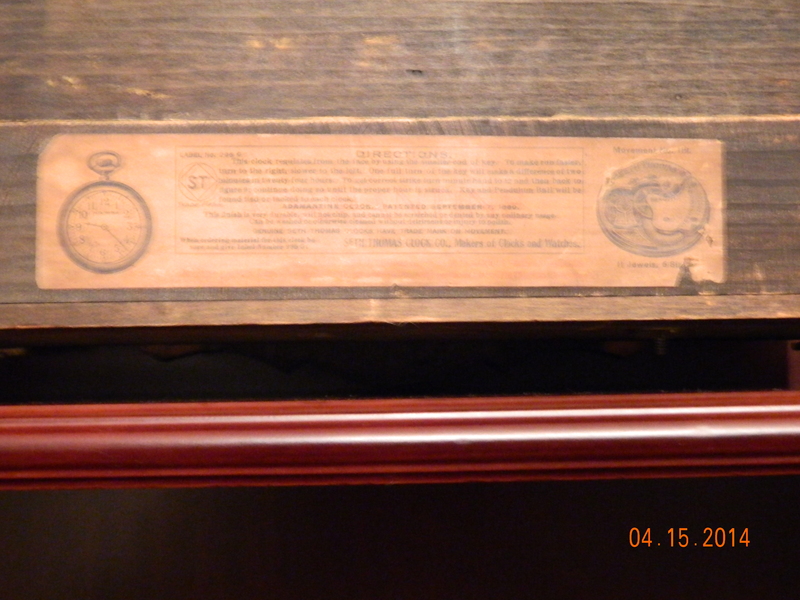 Our two clocks are so intact that the original instructions on the back of each clock can still be seen. 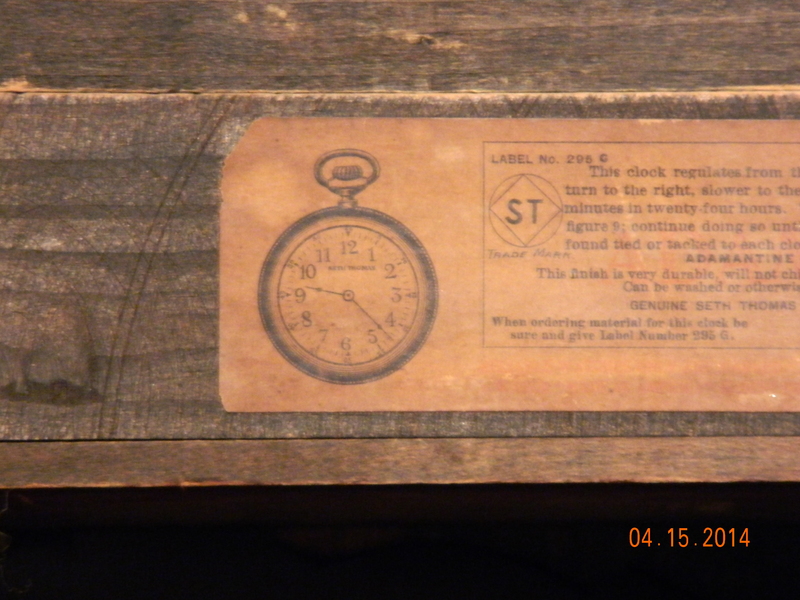 I had a hard time taking a clear picture of the label on the back of my clock, but I promise it is still legible. I had better luck when I tried to take separate pictures of the emblems on each side of the instructions. 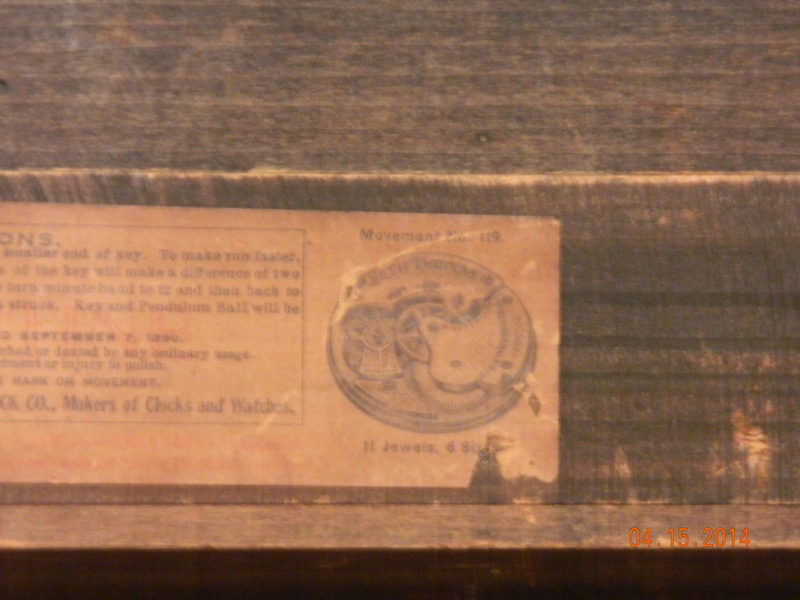 For whatever reason, it was much easier to get a picture of the instructions on Mark’s clock. 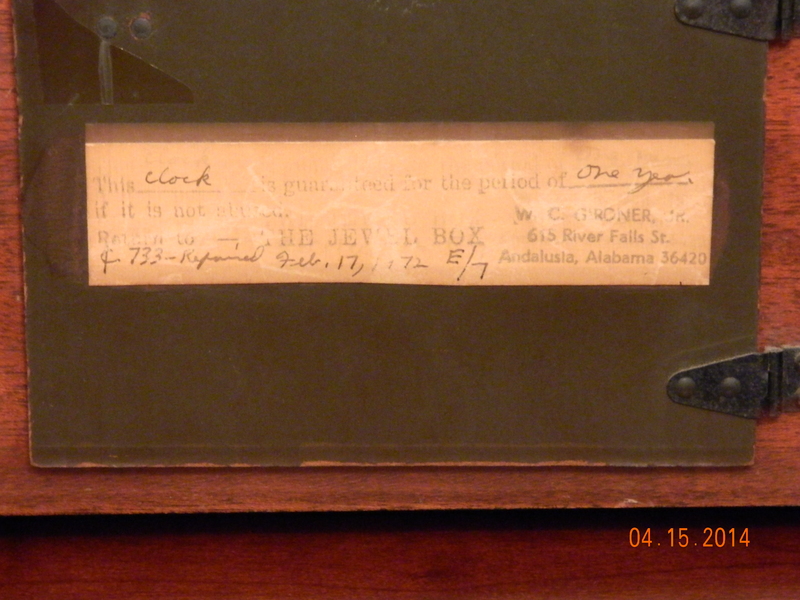 Mark’s clock even tells us approximately when it was purchased by means of the warranty notice on the back. 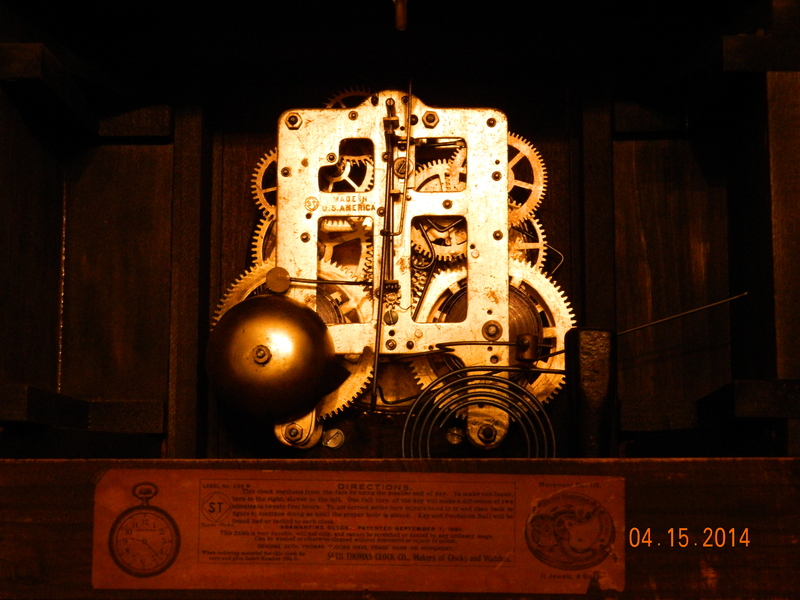 Seth Thomas was a real person who started making clocks with wooden works in 1813. 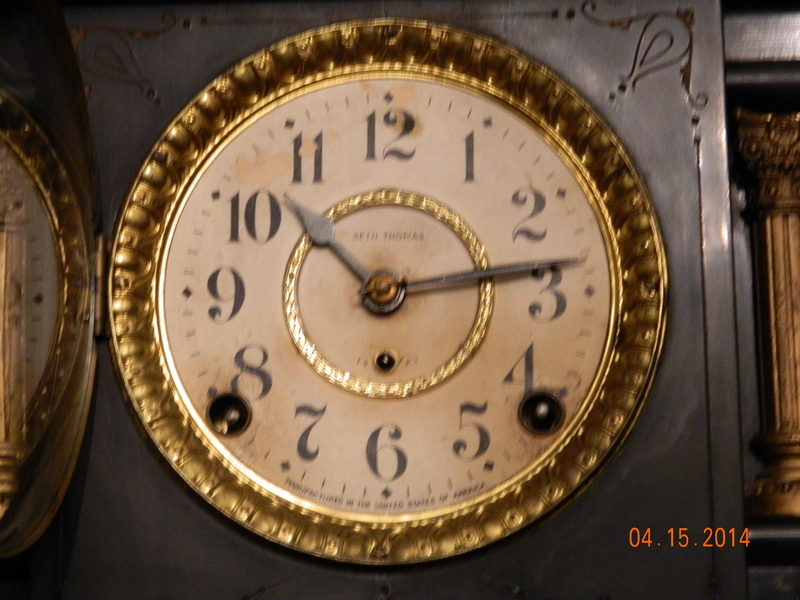 In 1842, Seth Thomas Clock Company introduced its first model with bronze clock works instead of wood, and by 1845 all of the wooden works models of clocks had been phased out. Our clocks have metal works, which I assume are bronze. 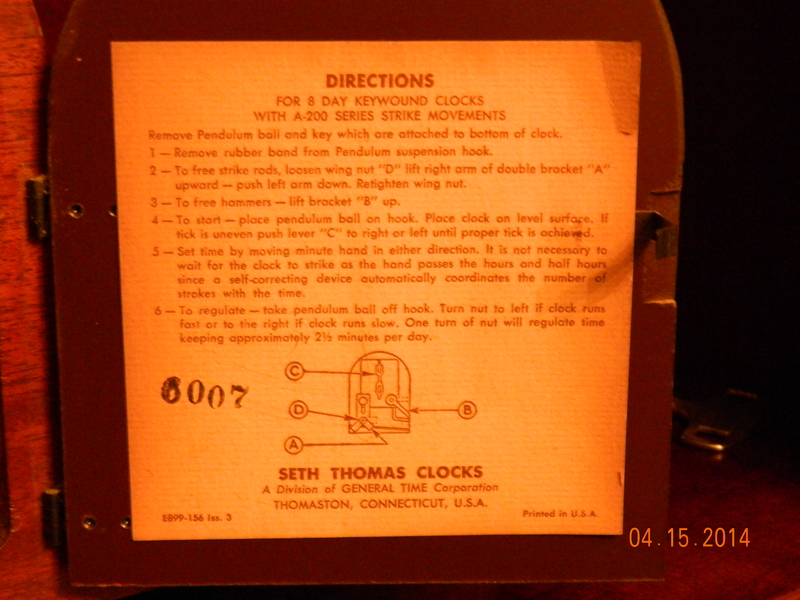 Seth Thomas clocks were manufactured continuously (with a couple of ownership changes) until 2009, when the company that owned the Seth Thomas clock brand at the time went into receivership. My extensive internet research (defined as three google searches instead of just one) makes it difficult to tell if Seth Thomas clocks are still being made today. 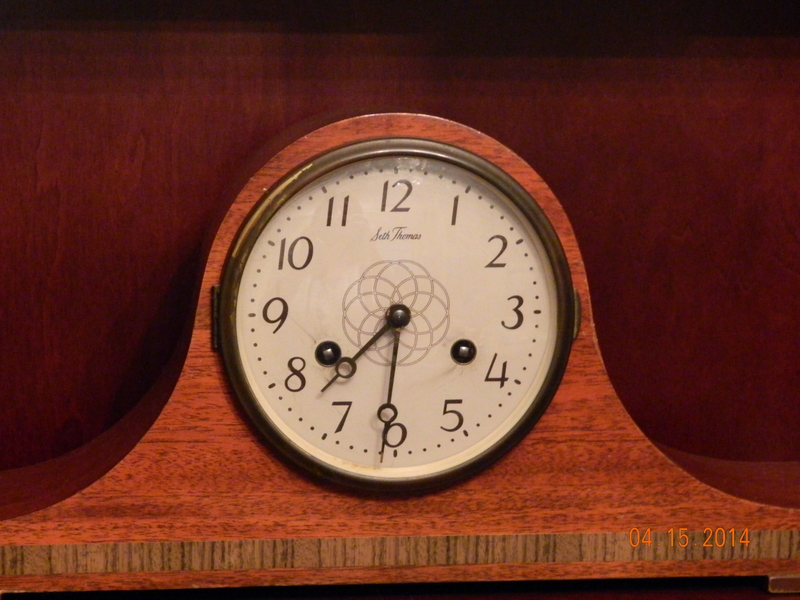 Some sources say yes, but by a different manufacturer; others simply stop their history with the 2009 receivership; and others state unequivocally that the clocks are not made anymore. Whether Seth Thomas clocks are made today, Mark and I treasure the two Seth Thomas clocks we own, not only as nostalgic reminders of simpler eras but even more for the people they remind us of.